The Strategic Trade Bill 2010 which provides for control over the export, transhipment, transit and brokering of strategic items including arms, consistent with Malaysia's national security and international obligations, was tabled in parliament Thursday. 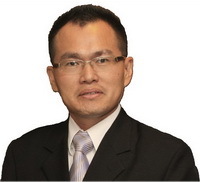 Deputy Minister in the Prime Minister's Department Datuk Liew Vui Keong tabled the Bill which has 57 clauses and six parts, for the first reading. The Bill will provide control over activities that will or may facilitate the design, development and production of weapons of mass destruction and their delivery systems and for other matters connected therewith. Among others, Part III of the Bill deals with the control of strategic items, unlisted items and restricted activities. Clause 10 seeks to prohibit any person from providing technical assistance within or outside Malaysia if such technical assistance is intended for use in connection with a restricted activity. Clause 17 deals with suspension and revocation. Clause 36 empowers an authorised officer to arrest without warrant any person found committing or attempting to commit an offence under the proposed Act, while Clause 43 seeks to empower the forfeiture of seized items where there is no prosecution or conviction. The Bill also seeks to empower the minister to make regulations and grant exemptions. Blogs are so informative where we get lots of information on any topic. Nice job keep it up!! Thanks for the updates in this post topic.